Ansel Adams once said that producing "twelve significant photographs in any one year is a good crop." I'm not going to go so far as to call these 12 images significant, but of the images I produced in 2010, they are my favorites. At least for now. My tastes change over time. 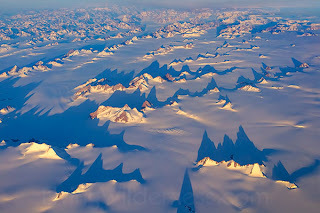 I posted my first "12 best" set last year, prompted by photographer Jim Goldstein. I'm doing it again because it's a worthwhile exercise. It can help you identify themes that you're passionate about so you can focus on them in the New Year. It can help you see where you're in a rut. It can also help you feel better about your work. Creating a significant image is incredibly difficult. It's easy to get frustrated by uncooperative weather or wildlife. Reviewing your best work of the year can help you see the photographic drought was never as long as it seemed at the time. 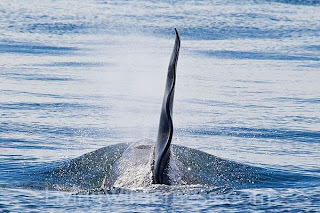 I've been working for years to capture a great breaching whale. I've yet to get it, but this is my favorite whale image so far. 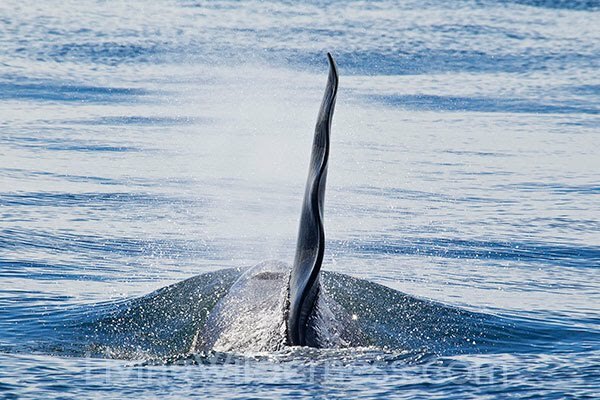 This orca, named Ruffles for its wavy fin, swam right in front of the boat and popped up for a breath. The spray was partially backlit and glowed like pixie dust, making the magical day look magical. 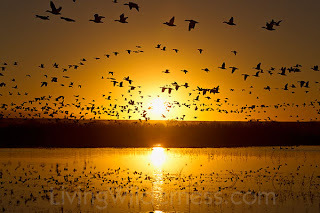 Each winter, thousands of snow geese winter in the Bosque del Apache National Wildlife Refuge in New Mexico. 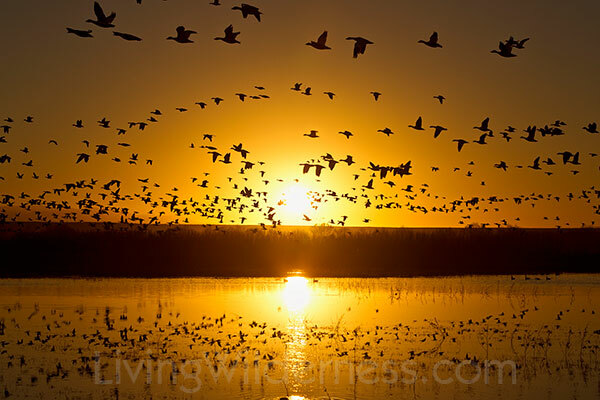 They spend the night on ponds and lakes and take off just before sunrise. They were late on this morning, but the sun in the image helps to tell the story. 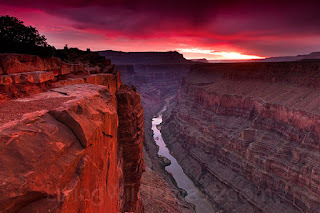 I spent a stormy night at Tuweep, one of the most remote sections of Grand Canyon National Park. One thunderstorm after another rolled through. I got a short break in the weather about an hour before sunrise. A very long exposure allowed me to capture the faint color in the sky. Here's another time when it paid to wait out the weather. Before sunrise, the fog in Washington's North Cascades was so thick you could barely even see the road. A few other photographers turned around and went home. 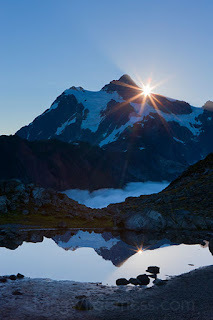 I hiked up to a ridge line to get above the fog and was rewarded with this image of Mount Shuksan. This isn't the standard vantage point of Zebra Slot in the Grand Staircase of Utah. 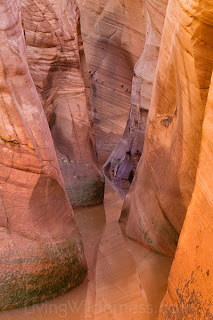 The canyon was flooded and the water was a little chilly. I waded in waist-deep and took this image. This vantage point doesn't show the striped walls quite as well as the "typical" location, but I love the reflections. Some of the ice floating in Jökulsárlón, Iceland is 1,500 years old — older than the nation itself. 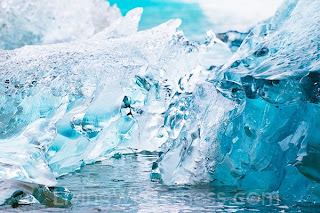 The weight of younger snow and ice above presses out any impurities, resulting in ice that resembles fine crystal. It tastes amazingly fresh too. 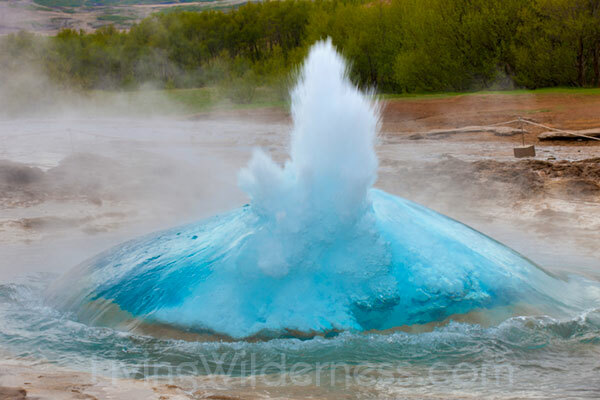 Strokkur in Icelandic means "churning." Just before this geyser erupts, it makes a giant blue ball of water. This ball, for lack of a better term, repeatedly surges and retreats, getting a little larger each time, until it finally erupts. It took a few hours of effort to capture the very beginning of the eruption. Thankfully, it erupts about 10 times an hour. 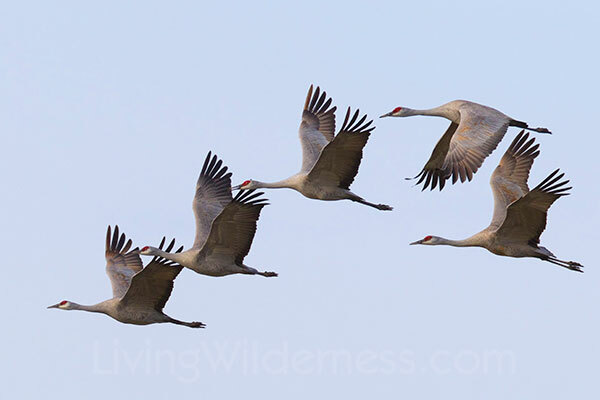 For a few weeks each spring, sandhill cranes use Othello, Washington, as a rest stop during their migration north. The overall flock is much, much larger than this, but I loved the shape of this small group as it flew over the road from one farmer's field to another. One morning after trying to photograph wildflowers at Mount Rainier National Park, I went for a hike along the Paradise River. 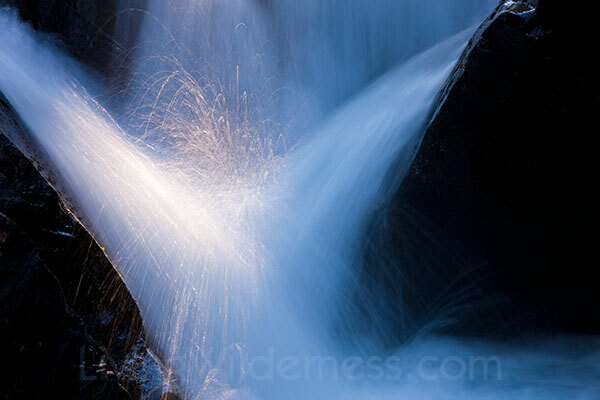 The very low angle light was touching only the splashes from a small waterfall in the river. A long exposure made those splashes look like fireworks. 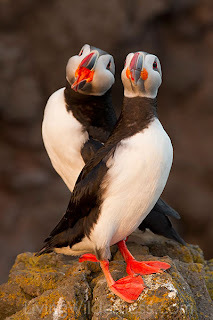 It's easy to get close to the Atlantic puffins on the Látrabjarg bird cliff in Iceland. Making a truly special image takes a little more work. I found a great subject in these two birds that shared a narrow ledge. Dressed in black and white, they reminded me of opera singers putting on a performance. I find the patterns in White Sands National Monument, New Mexico, even more interesting than the rolling dunes. 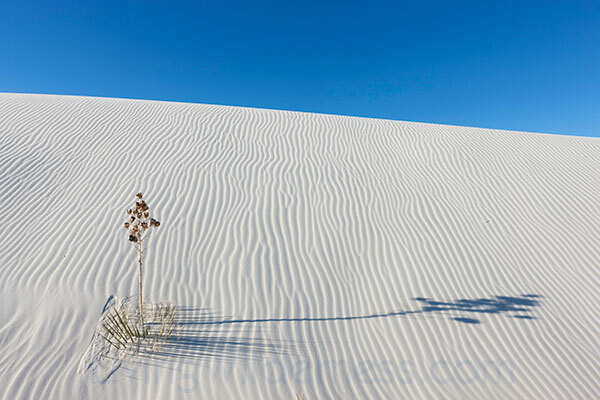 I really like the simplicity of this one soap yucca and its long shadow on the white sand. There's something special about such simple designs and I'm going to work on creating more images like this in 2011. That's a very nice selection of work, Kevin. You have every reason to be proud! Inspiring nature photography Kevin. Thanks for taking time to sort, select and share your 12 gold medalists from 2010. What a delight to my soul! Love the Toroweap shot! That is a great little place! To bad my wife hated the drive, getting back is proving difficult! This website kind of saved my life, because I had to do a state book report and on Google I searched "pictures of sections of the Grand Canyon" and this beauty came up.